During my teen years, I always struggled with acne. And when my face wasn't breaking out, it was super dry. I tried several different kinds of facial cleanser and different creams. And my favorite brand of facial cleanser I've ever tried is Neutrogena. Even though I liked Neutrogena best, it still sometimes dried out my face. So I had to have a whole face washing routine that became tedious and frustrating. After getting married, I stopped washing my face with any special soap. It was expensive and annoying. It wasn't until recently that I decided it was probably best for me to start up the routine again. So I did. Using the same Neutrogena that I had been using before. I liked it. It did the job, it was convenient and easy to use. But I still had to put some kind of cream or lotion on after to keep my skin from drying out. Then I got this great facial cleanser from Crowdtap to use and give an honest review on. Here's the deal, I love it! 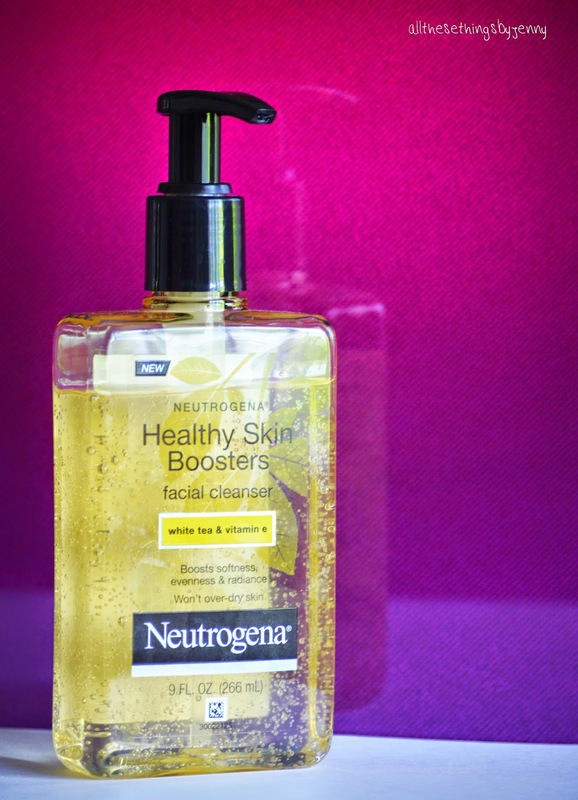 It's called Neutrogena Healthy Skin Boosters facial cleanser. It is infused with white tea and vitamin E to help boost signs of healthy looking skin (softness, radiance and evenness). The best thing about it, is that it does what it says it will do, and it won't dry out your skin. Since using this soap, I haven't had to put lotion or cream on my face at all. If for no other reason, I love it because it smells good. Some facial cleaners just flat out stink. I don't want to put that on my face. This one smells good. I think every time I use it I either think about how good it smells or I say out loud how good it smells. If you're looking for a good, new facial cleanser. Or if you know someone who is, I would highly recommend this one! This review was made possible by Crowdtap. I received this free trial for an honest review of the product. All opinions are my own.